Dr. Jim Green, Director of NASA’s Planetary Science Division, will address the U.S. agency’s current and future plans for international cooperation and partnership on exploring the planet Mars at the 19th Annual International Mars Society Convention, scheduled for September 22-25 at Catholic University in Washington, D.C.
Dr. Green began his NASA career in 1980 at Marshall Space Flight Center’s Magnetospheric Physics Branch where he developed and managed the Space Physics Analysis Network (SPAN). From 1985 to 1992 he served as Head of the National Space Science Data Center at the Goddard Space Flight Center, followed by a 13-year stint as Chief of the Space Science Data Operations Office. 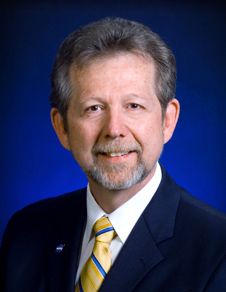 In 2005 he was appointed Chief of the Science Proposal Support Office, where he served until August 2006 when he was named the head of NASA’s Planetary Science Division. He has written over 100 scientific articles in refereed journals involving various aspects of the Earth's and Jupiter's magnetospheres and over 50 technical articles on various aspects of data systems and networks. Dr. Green received his Ph.D. in Space Physics from the University of Iowa in 1979. To learn more about the 2016 Mars Society Convention, including registration details, please click here.